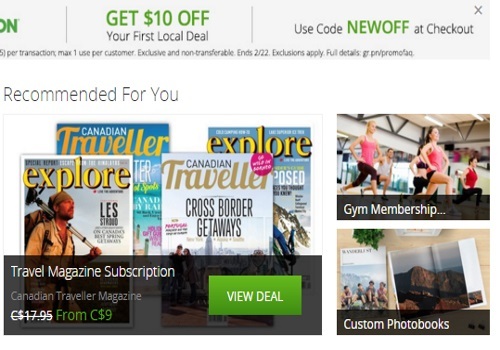 Groupon has a hot offer for new members! Get $10 off your first local deal! Enter the promo code NEWOFF at checkout. Offer is valid on 1 unit (minimum price $25) per transaction, max 1 use per customer. This offer ends February 22, 2016. Click here to register to be a new member on Groupon.